Whiplash, as the name implies, occurs when a person’s head/neck suddenly move forward and back. The name is derived from the fact that the motion resembles that of a whip. It often happens as a result of auto collisions. Unfortunately, whiplash is not always a minor injury. It can trigger a range of health problems, including limited neck mobility, dizziness, blurred vision, and even mood disorders, among many others. That’s why it’s important for the liable parties to be held accountable when their actions cause whiplash injuries to occur. Have you or a loved one in the San Diego area recently been the victim of such an accident? If so, get in touch with a personal injury whiplash attorney at the Jorgensen Law. We’ll review your case and help you better understand if you have a valid personal injury claim for whiplash compensation. We’ll also make sure you have proper representation, working hard to secure the best possible outcome for your case. Some people make the mistake of assuming whiplash isn’t a significant consequence of an auto accident. This is understandable. Collisions are frightening, and any accident you walk away from may seem to be minor when compared to more severe collisions. The full harm a whiplash injury causes might also be difficult to fully assess in the immediate aftermath of the accident. Thus, you assume the impact is minor. The points above demonstrate why this belief actually doesn’t match reality. 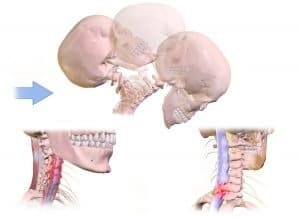 Even if you don’t notice any immediate consequences of whiplash, you could develop health issues that may have a significant impact on your quality of life. Maybe you’re now stuck with unexpected medical bills. Maybe the impact on your mobility prevents you from working. Perhaps whiplash has caused you to develop depression or other mental and emotional health problems. These are all substantial issues. They also represent just a few of the health and lifestyle difficulties you may face after experiencing whiplash. A personal injury whiplash settlement can provide you with a degree of compensation. You simply need to coordinate with attorneys who have experience with these types of cases. 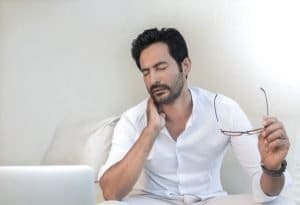 Because the health problems resulting from whiplash may not always be immediately noticeable, it can be difficult to clearly demonstrate the effect whiplash may have had on your quality of life. You need to hire a professional who knows how to conduct a thorough investigation and build a case. You also need to make sure you have someone on your side to protect you from being found liable to a greater degree than you actually are. In California, it’s not uncommon for courts to assign shared liability in cases involving whiplash accidents. This makes sense. Again, whiplash often results from car accidents. The behavior of everyone behind the wheel contributes to how likely or unlikely an accident is to occur. You may be found to be, for example, 25% responsible for the accident which caused your whiplash. Thus, the other driver may only be 75% liable. This reduces the potential amount of any damages you may be entitled to. That’s why you need a lawyer to ensure liability is assigned correctly. Don’t wait to take action! Due to the Statute of Limitations in California, plaintiffs in these cases must file their lawsuits by specific deadlines. Failure to do so will prevent you from securing any compensation. When you or a loved one suffers a whiplash injury in the San Diego area, you need to know you have professional, qualified experts on your side to help you pursue justice. You want to work with compassionate professionals who understand the specific steps necessary to successfully build a case. At the Jorgensen Law, that’s exactly what you’ll find. Contact us at 1-888-855-2948 today to schedule a consultation.